We live in an exciting golden-age of science, particularly in astronomy. 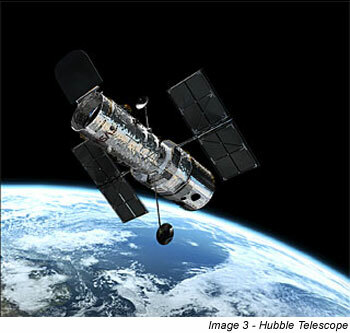 With the Hubble Telescope or the Voyager Spacecraft which is leaving our solar system ( the first man made objects to do so) or even the Kepler Space Observatory spotting extra-solar planets. As we can see further and further our greatest scientists have been asking why does the universe appear to be “fine-tuned” for life? The fact that we are here, able to observe and ask these questions, learn about laws of the universe, depends on the conditions for life to be present. At the relatively ‘smaller’ level of our solar system – our planet is in the ‘Goldilocks Zone’ – i.e. not too hot or cold for water and therefore life to exist. At larger galaxy / universe level, there are supposedly 6 dimensionless constants (i.e. subatomic forces, how gravity interacts with different forces) that if they were slightly different would not permit life to exist anywhere in the universe. Einstein’s equivalence principle, which states that the laws of physics are the same everywhere has just been brought into question due to research in Chile. Analysis of the light from distant quasars in 2011 from data from the Very Large Telescope (VLT) in Chile showed that one of the constants of nature appears to be different in different parts of the cosmos, supporting the theory that our solar system is in an area of the Universe that is “just right” for life,.”This finding was a real surprise to everyone,” said John Webb of the University of New South Wales in Sydney, Australia. “The implications for our current understanding of science are profound. If the laws of physics turn out to be merely “local by-laws”, it might be that whilst our observable part of the Universe favors the existence of life and human beings, other far more distant regions may exist where different laws preclude the formation of life, at least as we know it. These exciting discoveries seem can give strength to a recent addition to the classical formulations of the arguments for the existence of God. The argument from intelligibility is one that Pope Benedict is largely responsible for. As a young theologian the then Joseph Ratzinger commences with the observation that finite being, as we experience it, is marked, through and through, by intelligibility, that it is to say, by a formal structure that makes it understandable to an inquiring mind. In point of fact, all of the sciences – physics, chemistry, psychology, astronomy, biology, and so forth – rest on the assumption that at all levels, microscopic and macroscopic, being can be known. Ratzinger argues that the only finally satisfying explanation for this universal objective intelligibility is a great Intelligence who has thought the universe into being. Our language provides an intriguing clue in this regard, for we speak of our acts of knowledge as moments of “recognition,” literally a re-cognition, a thinking again what has already been thought. 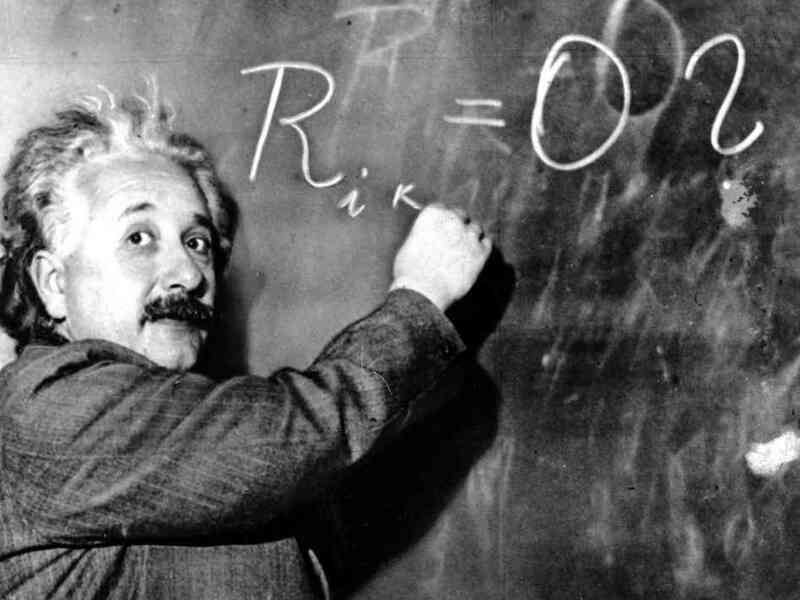 Ratzinger cites Einstein in support of this connection: “in the laws of nature, a mind so superior is revealed that in comparison, our minds are as something worthless.” In this Golden age of Astronomy and discovery of space – could it be that growing proof of a more finely tuned universe than we originally imagined – gives strength to the argument from intelligibility? Two alumni of Manchester who seem to be high-profile but are now sadly dead are Alan Turing and Bernard Lovell. Turing. mathematical genius, code-breaker extraordinaire, is widely considered to be the father of computing science and artificial intelligence. Designing the first model stored-program computer, he worked on the innovative Manchester Computers project which lead to the development of the first commercially available general purpose computer the Ferranti Mark One. It is an incredible legacy as arguably computers have been the most significant technological advance in the modern age. 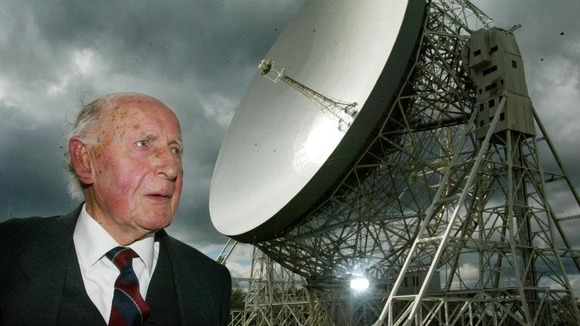 Bernard Lovell, sadly died a few weeks ago. A visionary physicist – his top-secret work on magnetrons during the WW2 helped Allied bombers spot submarine periscopes and Hitler blamed a major naval setback on his inventions. During this work he spotted other strange stuff – emitting radio frequency waves – cosmic rays perhaps? so after the War he set up the Jodrell Bank Radio Telescope in Cheshire to find out. 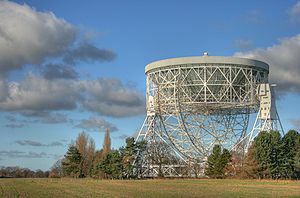 The worlds biggest steerable radio telescope, its spiralling costs and need for electromagnetic silence (thus blocking local development) led it to be called ‘Lovell’s folly’ – and he was staring bankruptcy and public hostility in the face. Until the space race started and the launch of the Russian Sputnik sattelites. When it became obvious that the only place in the world that could track them was Jodrell Bank – overnight he became a hero again! I am no more surprised or distressed at the limitation of science when faced with this great problem of creation than I am at the limitation of the spectroscope in describing the radiance of a sunset or at the theory of counterpoint in describing the beauty of a fugue. It was a pleasure to host the Manchester Branch of the Catholic Medical Association a couple of nights ago for their AGM. They asked me if I would address them, so I decided to tell them the story of the discovery and promotion of ‘Quinine’ as an anti-malarial treatment by the Jesuits in South America. As I prepared it, it only takes 10 mins to put up on the blog. The story begins between 1620 and 1630 when a Spanish Jesuit was cured from an attack of malaria, through the treatment of the indigenous Indians who ground the bark of a tree from the Rubiaceae (coffee) family. In 1630, the Countess of Chinchon, wife of the new viceroy, who had just arrived from Europe, was taken ill with malaria at Lima. The countess was saved from death by the Jesuits, and in thanksgiving caused large quantities of the bark to be collected. The trees have sinced be named after her (genus Cinchona) and its main active principle, quinine, is now chemically synthesized. The term quinine comes from ghina, or quina-quina, the name given by Peruvian Indians to the bark, meaning medicine of medicines or bark of barks. The physician Sebastiano Bado declared that this bark had proved more precious to mankind than all the gold and silver that the Spaniards had obtained from South America. It’s value was confirmed when a large amount of “Peruvian Bark” was captured by the English pirate Basil Ringrose, also known as “The Gentleman Pirate”, noting at the time that “the Spaniards had a monopoly on its production”. The earliest transportation of the bark to Europe was through the Jesuit Barnabé de Cobo who brought the bark from Lima to Spain, and afterwards to Rome and other parts of Italy, in 1632. The bark was disseminated from Rome throughout Europe by means of the Jesuits. In 1646, 1650, and 1652 the delegates to the eighth, ninth, and tenth general congregations returned to their homes, taking it with them, and at the same time there is evidence of its use in the Jesuit colleges at Genoa, Lyon, Leuven, Ratisbon, etc. Some high profile cures at the hands of Jesuits increased it fame and usage e.g. in France there is an alleged cure of the young Louis XIV, when still dauphin, effected by Father Tafur by means of Peruvian bark, it even reached the courts of Peking in China and Kyoto in Japan, where Jesuits cured the emperor by its means. The remedy soon reached England. The English weekly Mercurius Politicus in 1658 contained in four numbers the announcement that: “The excellent powder known by the name of ‘Jesuit’s powder‘ may be obtained from several London chemists”. In the 18th century, the Italian professor of medicine Ramazzini said that the introduction of Jesuit bark would be of the same importance to medicine that the discovery of gunpowder was to the art of war, an opinion endorsed by contemporary writers on the history of medicine. Dissension, however, was rife at the time and Alexander von Humboldt said, “It almost goes without saying that among Protestant physicians hatred of the Jesuits and religious intolerance lie at the bottom of the long conflict over the good or harm effected by Peruvian Bark”. A good reminder of the politics that often gets in the way of science and how sectarianism can cause so much damage.